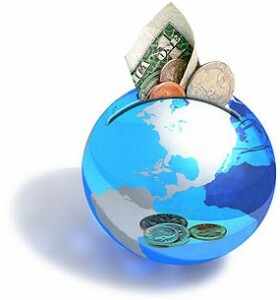 With the technological advancements linked with the internet, the world of banking has opened a new form of savings account with more convenience and easier access known as interest savings accounts. Online banking still functions on the principles of saving, earning, and lending. However, the existence of online-only banks – banks that operate exclusively on the World Wide Web and don’t maintain brick-and-mortar offices – has established great competition against traditional banks. These banks may furnish high rate of interest on investment and savings accounts. But even though they make banking very expedient and unique, they have to deal with their own challenges and quandaries. Understanding saving vs investing requires familiarizing yourself with the savings account basics. The mediocre rate of return from saving will prompt you to explore the wonders of investing. If you find pleasure in dealing directly with people, giving your deposit checks and slips to a bank teller, and enjoy using your ATM card that allows you to access your money anytime of the day, then the traditional savings account is right for you despite its low APY or annual percentage yield of 0.25%. On the other hand, if you would like to enjoy a 3% APY and would like to experience the convenience of viewing your statements online and perform electronic transfers any time of the day, then you may close your traditional account and apply for high interest internet savings accounts. 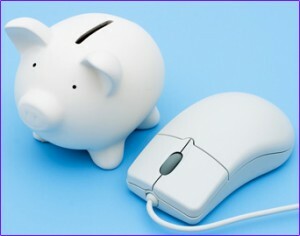 The internet savings accounts best rates are brought about by the fewer fees associated in operating the online banks. They don’t pay for wage, real estate costs, and maintenance fees involved in running brick-and-mortar bank branches. This is also the main reason why these accounts necessitate no minimum balance. While brick-and-mortar banks need to implement strict security to protect the money of their investors, the best internet savings accounts make use of sophisticated programs to regularly shield their virtual vaults from clever and appalling hackers. There are banks that show an image and passphrase on the password page. If these two fail to match the image and passphrase the user utilized during the opening of the account, then the user will recognize that the connection is not secure. Online banks make use of 128-bit encryption. Thus, to access your account, you are required to enter your login info on the first page and your password on the second page. While this makes the process longer, the speed problem is not that bad. You should also be prepared for information verification that your preferred provider of internet savings accounts will carry out.